Perhaps it took Competitor Group’s two-by-four to the frontal lobe to get people’s attention, but now that CGI has eliminated appearance fees and (by running’s standards) appreciable prize purses at its U.S.-based Rock `n` Roll Series, it seems the message, “nobody cares how fast you run if nobody cares who you are”, has gotten through the fastest anonymous runners of the world. 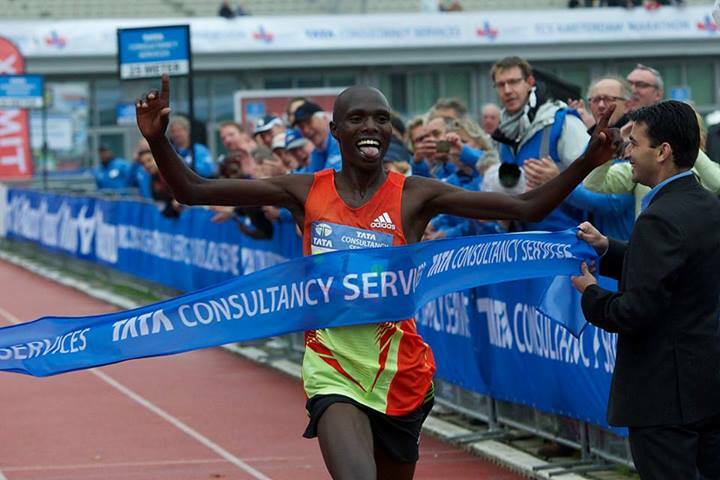 This week International Athletics Consultancy, a European-based sports agency, announced that one of its top clients, two-time TCS Amsterdam Marathon champion Wilson Chebet, is using Facebook to offer advice to average runners prepping for the October 20th race. “Course record holder and defending champion of TCS Amsterdam Marathon, Wilson Chebet of Kenya, is highly accomplished athlete and, at the same time, leader of a major training group (120+ runners) in Kenya,” reads the Facebook page. “As there is so much expertise and fresh perspective among elite Eastern African runners, we talked to Wilson and he is more than ready to hear from you and offer his advice. “So, please, do ask Wilson in comments under this photo and we will forward as many questions as possible to him, with the goal for Wilson to cover all relevant subjects and assist as many runners as possible. “Wilson is extremely experienced in training program design and with his training related experience and racing experience he is an ideal person to chat to and learn from about training intensities, approaches to recovery and regeneration, proper pacing of various workout types and much, much more. This is the second time International Athletics Consultancy has forwarded one of its top clients for such an outreach. Former marathon world record holder Patrick Makau of Kenya did something similar at The Hapalua, Hawaii’s Half Marathon in March. The sport of distance running has long been segmented into non-aligned camps, racers, runners, and joggers, to the detriment of each. Now that a major event promoter has publicly announced that it sees little to no value to professional runners, it has dawned on some that maybe running fast from here to there may not be enough to generate interest in that ability. International Athletics Consultancy, for one, has decided to take a step toward repairing that long-broken connection to the middle and back of the pack. We shall see if others will follow. attack, and train in such a way, it will be potentially fatal in actual self defense. Wilson, at 47 years of age what kind of training program, types of workouts and mileage would best give me a chance to run a sub 2:50:00 marathon? Thanks! Please enter your inquiry to Wilson at this Facebook page. Thanks, and good luck.